The Bachelor of International Economics (BIE) program here at the Vancouver School of Economics (VSE) has been awarded the Alfred Scow Award. This award is granted to an undergraduate program or department that has contributed to student development, in honour of Alfred Scow’s commitment to UBC as well as his demonstrated vision, integrity and dedication to social justice. Alfred Scow is a UBC Alumnus and was the first Aboriginal person in British Columbia to graduate with a Bachelor of Law degree. 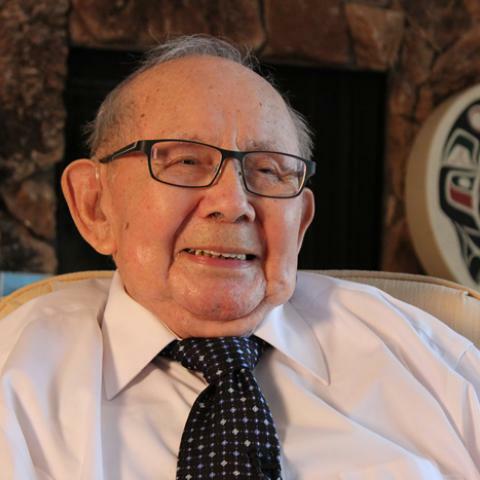 In 1962, he became the first Aboriginal lawyer in BC. He served as a judge for the Provincial Court of British Columbia from 1971 to 1992. His tireless efforts to support First Nations students contributed to the establishment of the First Nations House of Learning. It is a great honour that the BIE program has been awarded the Alfred Scow Award and we are extremely proud of our students, faculty and staff for making this happen.